We’ve been waiting for these figures to be released for months and they’re finally here. 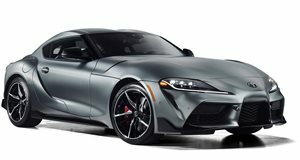 The EPA has announced fuel economy numbers for the BMW-powered 2020 Toyota Supra. It is rated at 24/31 mpg city/highway and a combined 26 mpg. Not bad at all, especially for a sports coupe powered by a turbocharged inline-six rated at 335 hp. So let’s compare those numbers to some of the competition. 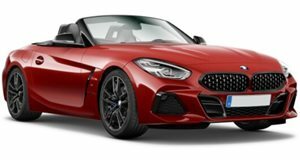 The four-cylinder-powered BMW Z4 has an estimated 25/32/28 mpg rating, but it also has 80 less horsepower. Oddly, the EPA has yet to disclose ratings for the six-cylinder M40i, which shares the Supra’s engine. The Ford Mustang earned a rating of 21/32/25 mpg – and that’s with the turbo four EcoBoost paired to the 10-speed automatic. The most efficient Porsche 718 Cayman, equipped with the 2.0-liter turbo four with 300 hp and the PDK dual-clutch, returns 22/29/25 mpg. Less powerful? Yes, but this Cayman costs at least $7,000 or so more than the Supra. If you’re looking for a powerful sports car that’s also very fuel efficient for its segment and reasonably priced, the Supra is hard to beat. If you were to compare the Supra to the next level sports car for reasonable money, say the Chevrolet Corvette Stingray, the Toyota’s efficiency remains impressive. Powered by a 6.2-liter naturally aspirated LT1 V8, the Corvette’s best EPA numbers are 16/25/19 mpg, though it does produce 460 hp. When we spoke with Supra chief test driver Tetsuya Tada last month at Geneva, he told us fuel efficiency was not the number one priority for the Supra. Developing a true sports car was. "We really focused on coming up with a pure sports car which means very good handling. So in that sense we were quite decisive in determining what we focus on and what we don’t. We did not have any fuel efficiency objective,” he explained. The fact that the Supra has turned out to be one of the most efficient sports cars on the market is simply icing on the cake.